A documentary play in one act set against the back drop of the American Civil War. Mr. and Mrs. Lincoln invite you into the White House to share stories of their lives together from their courtship, marriage, children, and personal traumas suffered by the family to Mr. Lincoln's legal career, rise to the presidency, and his struggle to hold a divided country together during the tumultuous years of the Civil War. 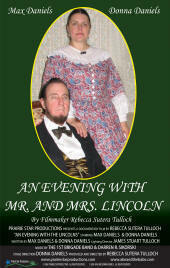 Max and Donna Daniels have been portraying Mr. and Mrs. Lincoln for over 20 years to the audiences through out the United States. Their performances have been called, "an excellent opportunity to witness living history!". 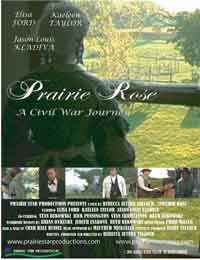 A fictional drama of a young woman's adventure to rescue her husband from a Civil War Union POW camp in Chicago in the fall of 1862. Through Cath, a nurse and spy from the camp, Sarah Rose receives a message at home on her farm in rural Kentucky from her dying husband, Will. With Cath's tenacity and brash personality, the generally shy and reserve Sarah sets off with her new companion on a journey across Kentucky and Illinois determined to rescue her newlywed husband from an inevitable death from camp sickness and his battle wounds received at the battle of Shiloh. the difficulty of their journey is complicated by two Pinkerton agents, Agents Winslow and Peterson, hired by the camp commander to hunt down and capture Confederate spies. Three hours of entertainment and memories from the 2009 Heartland International Tattoo Music and Dance Festival of April 18, 2009 at the Sears Centre Arena, Hoffman Estates/Chicago, Illinois. Show Cast: Chicago Highland Rifles, Irish American Heritage Singers, The Prairie Brass Band, Red Plaid and Blue Pipe Band, Chicago Fire Dept. Pipes and Drums, Pipes and drums Chicago Police Dept., Flint Scottish Pipe Band, McNulty School of Irish Dance, Thistle and Heather Highland Dancers, Culver Military Academy Pipes & Drums, Classic Cavaliers Drum & Bugle Corps, 'Phat Man Clan'-Horizon MS Percussion, U.S. Air Force Academy Drum & Bugle Corps, Culver Military Academy All-Girl Drill Team, Lyons Township HS Flag Corps, U.S. Navy Band Great Lakes Naval Station, Bugles Across America, Tebala Air Squadron, Dave Johnston Pipe Major, and Kent Burns Ceremonial Drum Major. 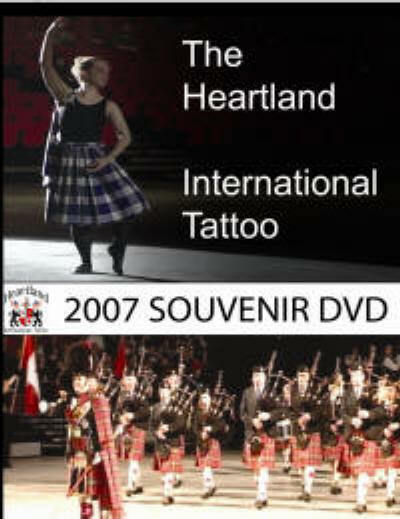 The 2007 Souvenir DVD has nearly 4 hours of entertainment and memories from the 2007 Heartland International Tattoo Music and Dance Festival of March 31 & April 1st, 2007 at the Northern Illinois University Convocation Center. The DVD includes a fully Combined Show of both the Saturday and Sunday performances and a special “Making of the Tattoo” Documentary which includes performer interviews, clips from rehearsals, Civil War Re-enactor interviews and encampment footage. Additional Bonus Features include a Tattoo Highlights Sampler, Tattoo Trailers and the Civil War Soldier Tribute.